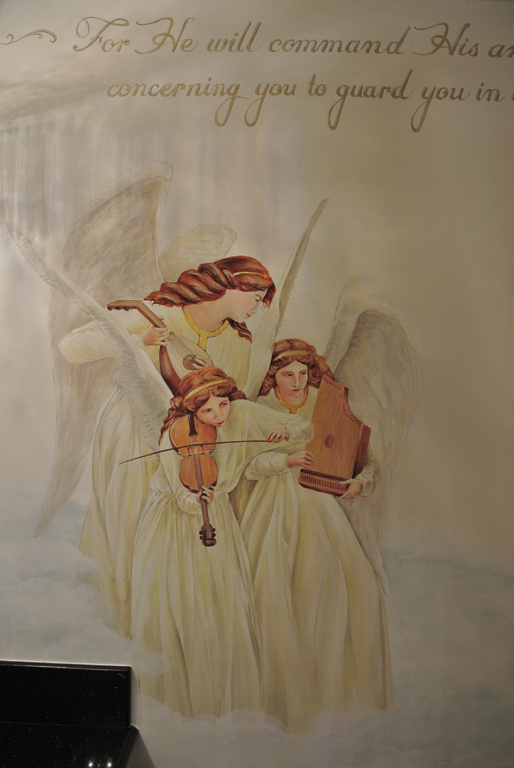 After some personal heartache I found myself immersed in this perfect mural. 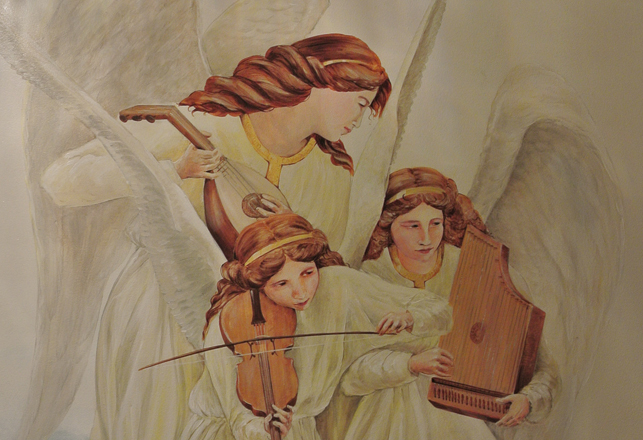 Painting these Seraphim angels renewed my soul and gave me peace. I want to thank my patient friend for letting me create this artwork; it will always hold a place in my heart. The Mural really is a Beautiful work of Art. Hey Ron! Thank you. That’s what I was painting when I saw you. I love that you comment. The last comment I got was yours. Beautiful Jame. Ginny would love it. I love you girl. I really could have used Sheila for this one. You were all over my mind on the 4th. We were at sea. No bagpipes or wind though. I love you back.